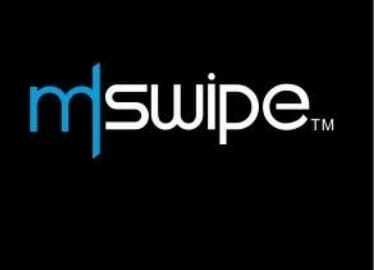 Mswipe Technologies, which develops point-of-sale terminals for merchants, Tuesday said it has raised $30 million (about Rs 207 crore) from existing investors Falcon Edge, B Capital, Epiq Capital and DSG Growth Partners. Mswipe plans to have 1.5 million merchants on its platform by the end of 2019-20 financial year from the current base of over 400,000 merchants. "Apart from expanding its existing line of mPOS terminals, the company is driving forward on two new initiatives -- smart POS terminals and UPI QR codes. A bulk of the Series E round of $30 million... will be deployed towards deepening these initiatives, which are already underway," it said in a statement. The company has raised over $80 million (about Rs 550 crore) from investors like B Capital, UC-RNT, Falcon Edge Capital, Matrix Capital Partners and DSG Partners. Mswipe Founder and CEO Manish Patel said 2019 marks the company's move into the next phase of growth. "We expect to be serving well over a million merchants by this time next year, making us one of the largest and most capital efficient merchant acquirers in the country," he added. Mswipe said it is currently piloting MoneyStore, a proprietary app store which will make available productivity apps like GoFrugal, Tally, ePaisa and Pet Pooja from over 30 Indian software developers for small retailers, on its WisePOS platform. The company will also enable UPI QR code-based payment acceptance on its platform. This will enable merchants to use the Mswipe app to accept UPI QR Code payments, check transactions and settlements, manage notifications and record all their sales in a single location. Mswipe expects to onboard over 500,000 merchants for this initiative in the current financial year. "We are excited to continue to back Mswipe as it builds out the payments and fintech infrastructure for the over 50 million small and medium merchants in India," B Capital Group General Partner and Asia Co-Head Kabir Narang said.